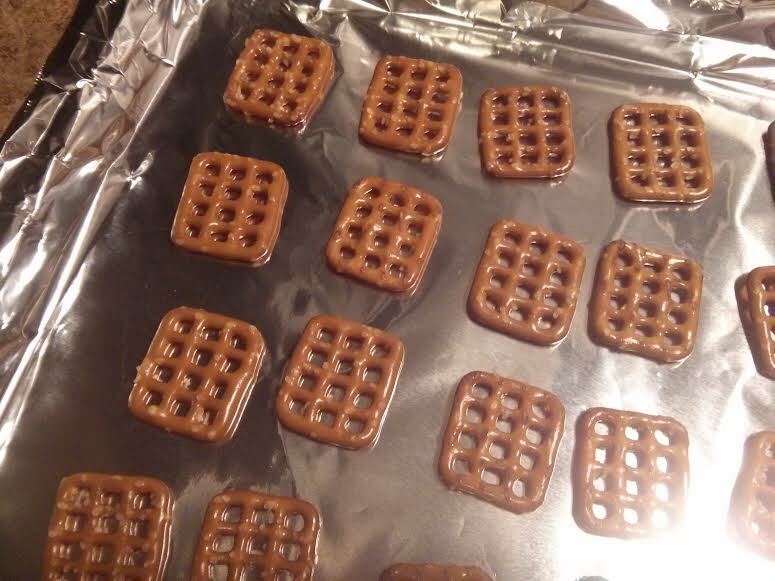 ladies and gentlemen, i present to you the easiest treat ever made by man: turtle pretzels! okay, i don’t think they’re really called turtle pretzels, but they’re something i made last thanksgiving with the family, and i never really got the name. so! turtle pretzels they will be! this recipe is so stinkin’ easy that i am not even going to break it down into ingredients and directions. you can literally read the instructions here and be good to go! grab a cookie sheet and line it with parchment paper. if you ran out of parchment paper like i did, use tin foil instead. place those window pane pretzels on there, just a little spaced out. next, violently tear open a bag of rolos. 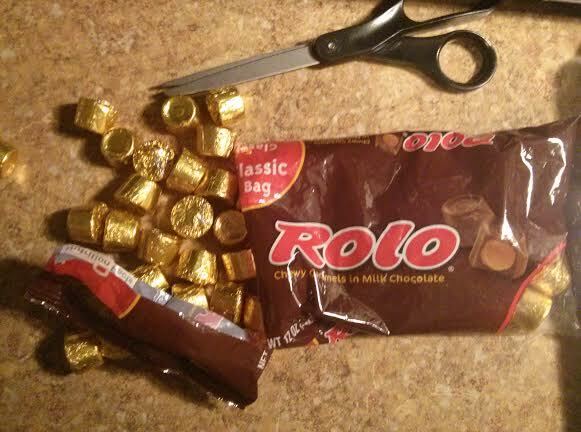 i use the word violently because when i cut and ripped mine open, i had rolos everywhere. it was like an early rolo Christmas just for my tiny kitchen and me. then, because you don’t want to look too much like a mess, place them all next to the bag nicely as if they had just come out that way. unwrap those little candies and place one atop each pretzel. pop the cookie sheet into the oven for two minutes. only two minutes, kelsey? doesn’t that seem a little short? well, yes, in the grand scheme of things two minutes is not very long at all, and you don’t need a long time with these little guys. they just need to warm enough so that we can smash them down, which we’ll do in just a moment, if you’ll be patient. after those long and excruciating two minutes are up, pull the cookie sheet out and press a pecan half down on top of each rolo. the reason you only need two minutes is because if you go any longer, all that caramel surprise inside the rolo will squirt right out, and that’s not what we want. let the treats cool and harden and then store them in an airtight container. then take them to your company holiday party and watch them get scarfed up by all your ravenous coworkers who cannot get enough of your baking. happy holidays! So glad you shared this. These really are the best and everyone loves them. If people are allergic to nuts you can just top with another pretzel. They do take a long time to cool, usually overnight. Great suggestion about other toppings!